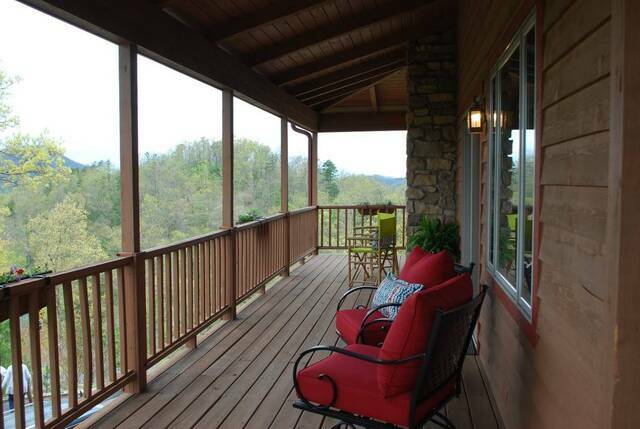 Welcome to Smoky Mountain Luxury! 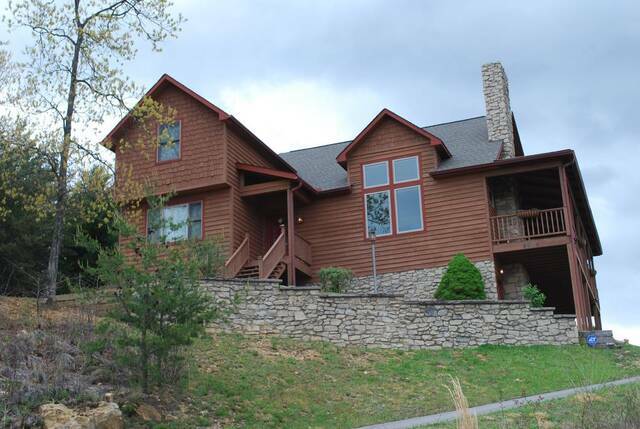 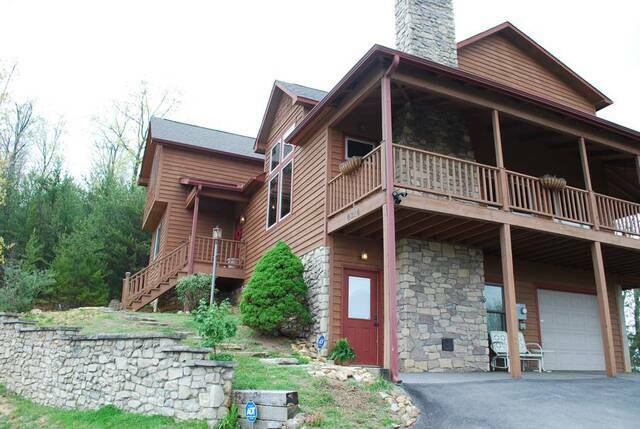 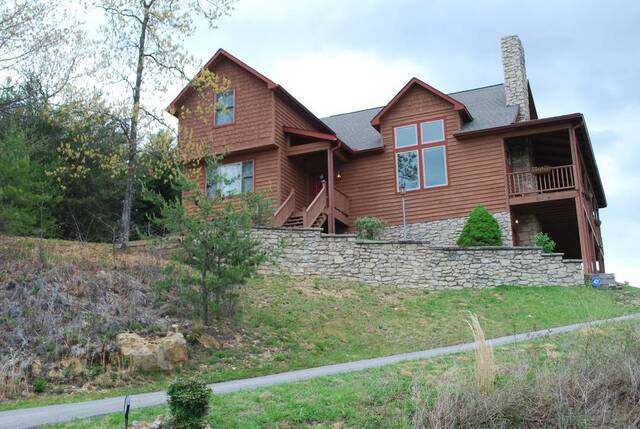 This magnificent mountain home will truly be your go to Happy Place. 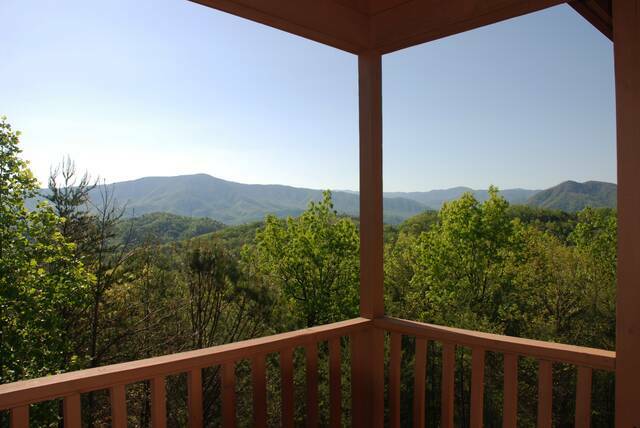 Bask in the majestic sunrises and sunsets and you will know why so many people love calling the Smokies "Home". 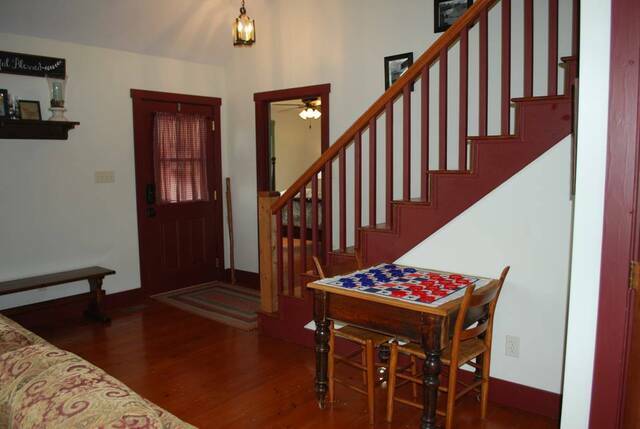 As you enter the main level, notice the exquisite pine floors and the comfortable layout of the cabin. 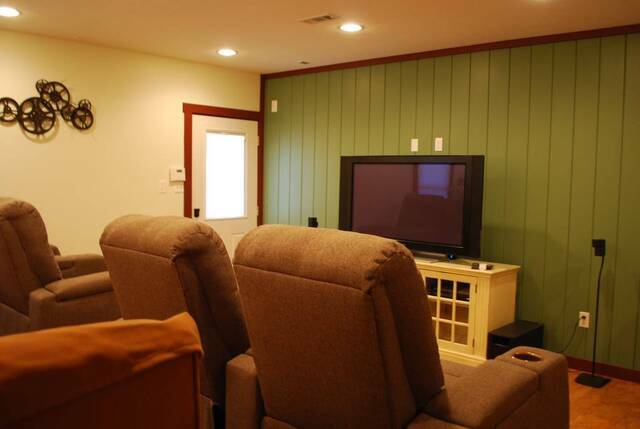 The spacious layout provides families an opportunity to reconnect as they share memories of this years vacation fun. 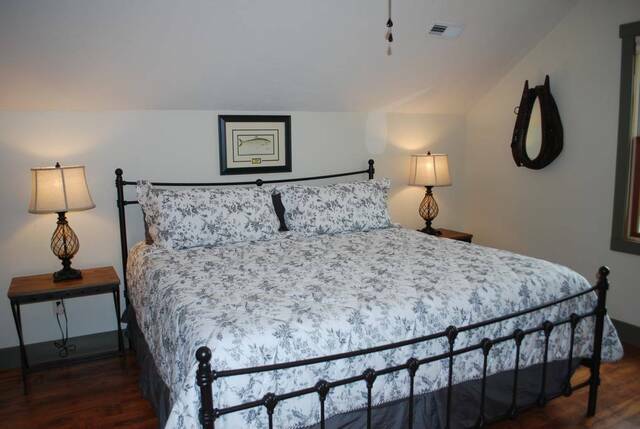 Just off the Living Room area is the Master Bedroom with a Queen Bed and ensuite bathroom. 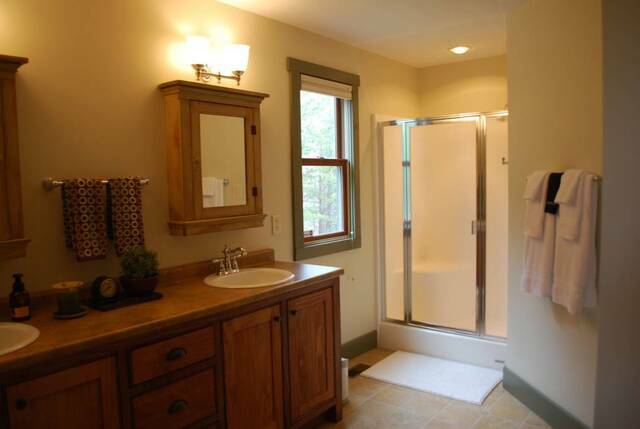 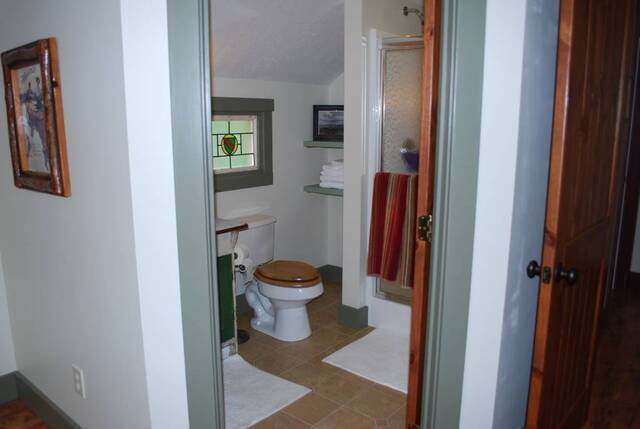 Features include a large walk in closet, double sinks, and stall shower. 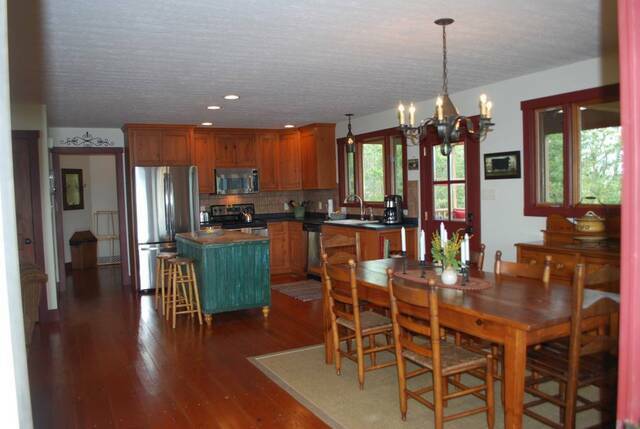 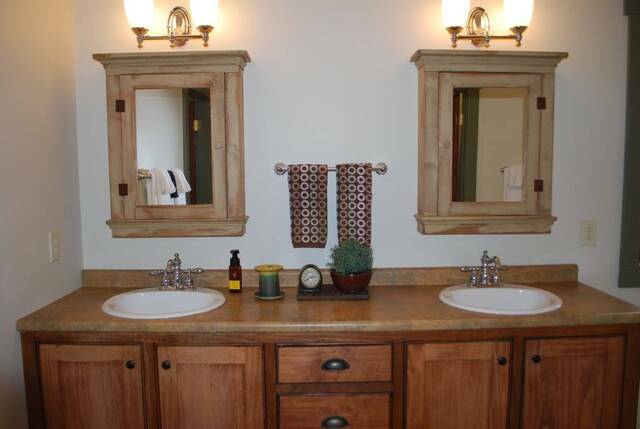 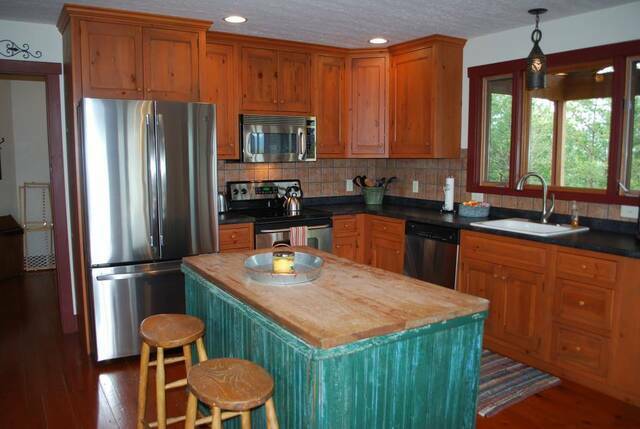 Just off the Kitchen area, the laundry room is conveniently located as well as the 1/2 bath powder room. 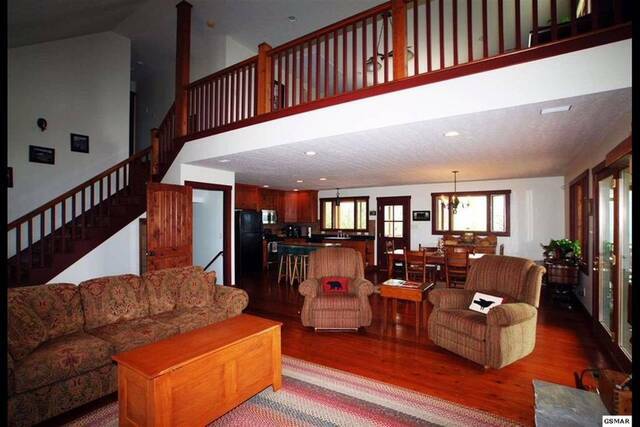 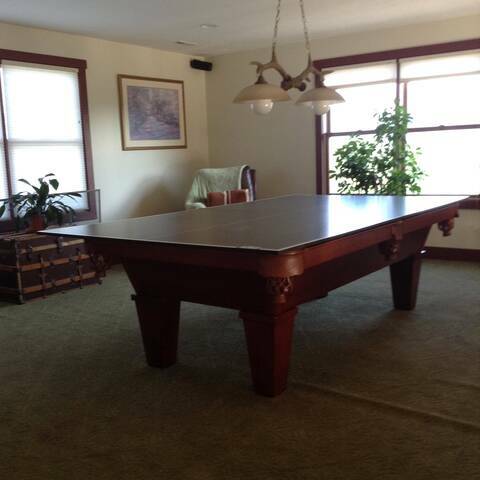 Upstairs welcomes visitors to a Ping Pong/ Pool Table Combo in the open loft area. 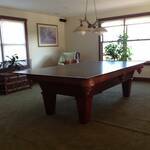 Additionally, 2 bedrooms and 2 bathrooms are also located on the upper level. 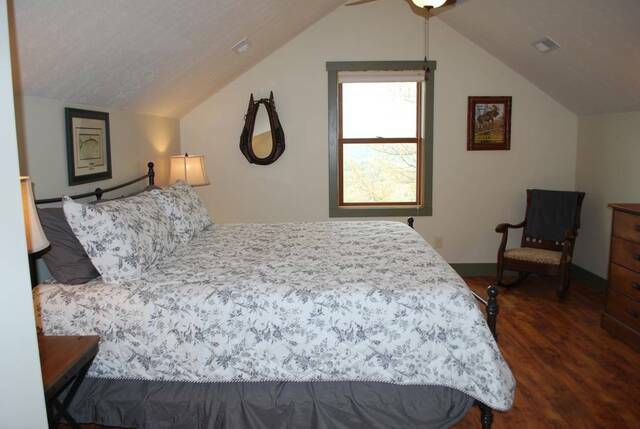 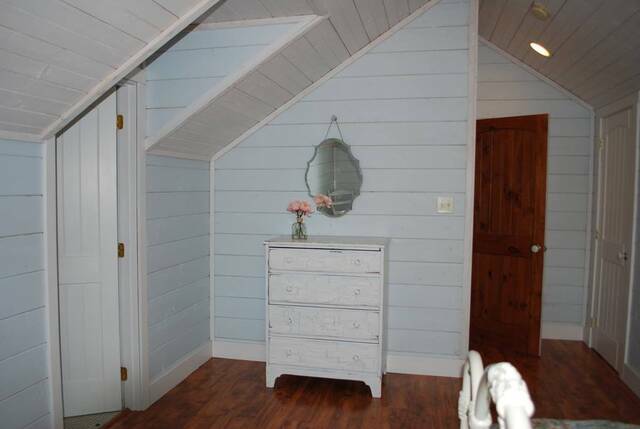 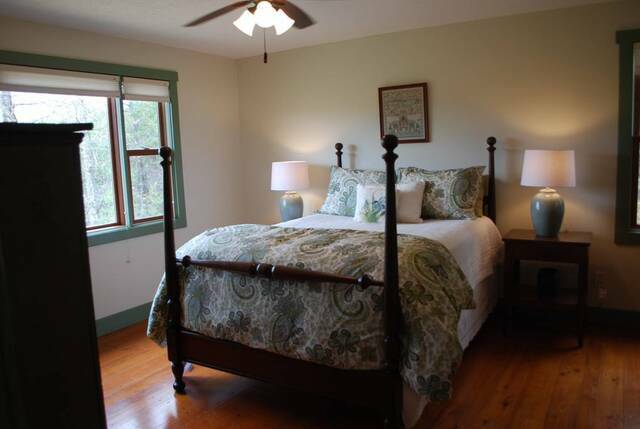 Bedroom 2 is a Cottage Style Bedroom and features a Queen Size Bed. 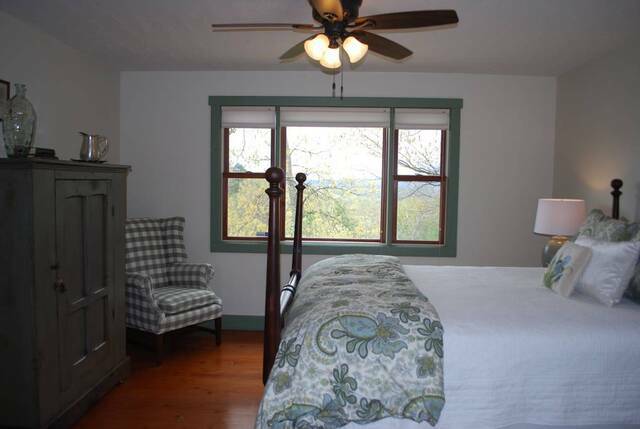 This room faces the East and is a great choice for early risers. 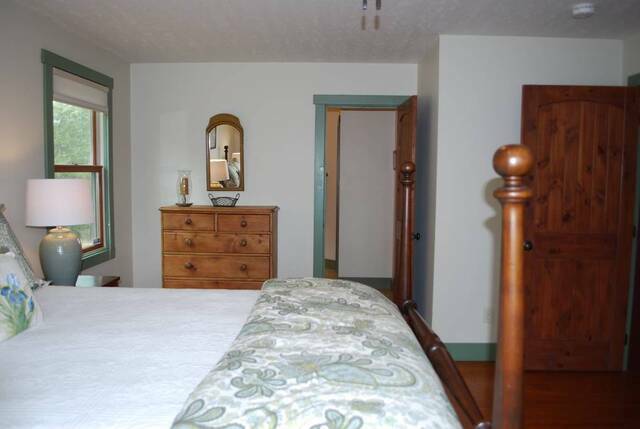 Bedroom 3 features a King Size Bed and faces the West. 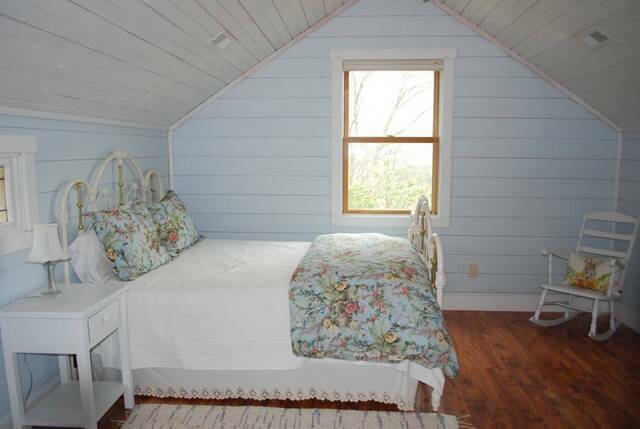 A nice choice for those who like to sleep in on vacation. 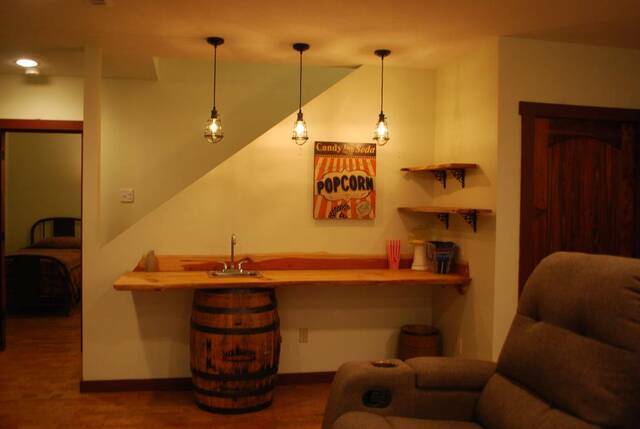 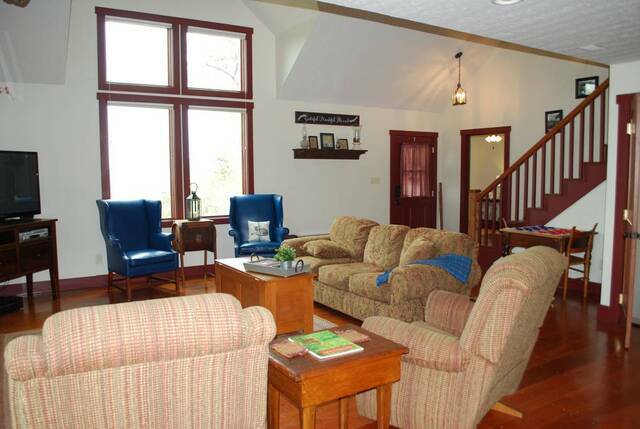 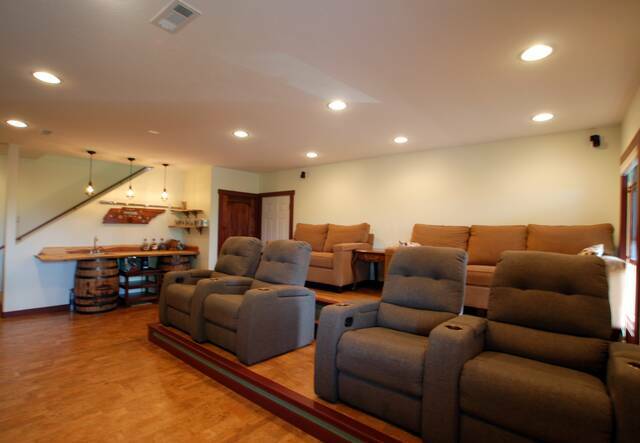 Downstairs is an awesome place to gather round and enjoy a family night movie in The Smokies. 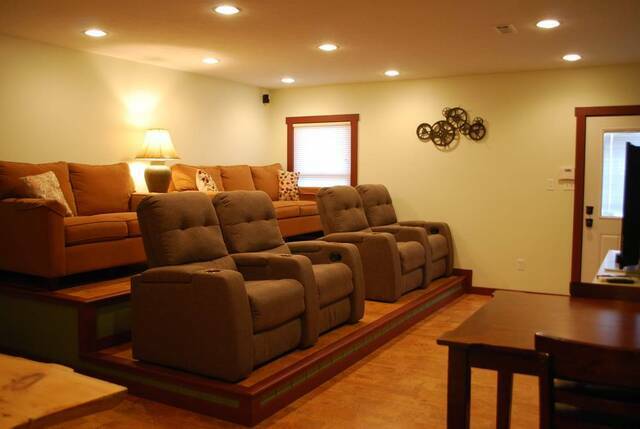 The movie theater room features comfortable seating and a large screen TV. 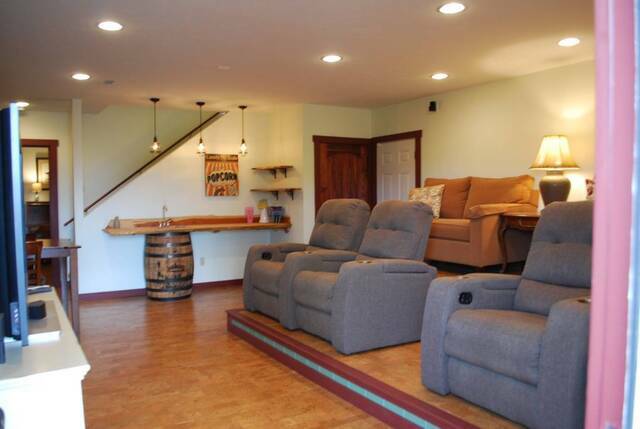 Just off the movie theater room is a bonus room which houses 2 Twin Beds and a 1/2 bath. 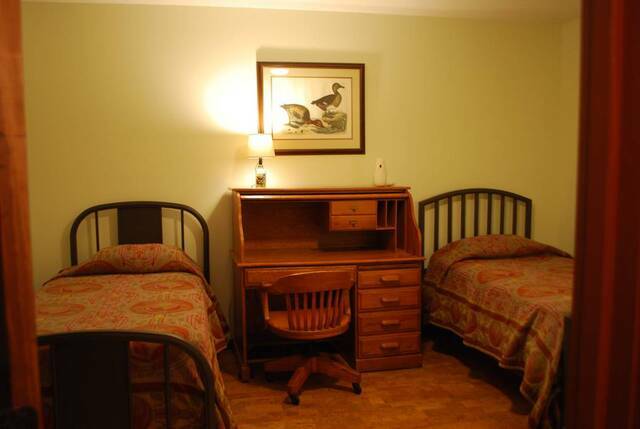 There is a writing desk in this room which is perfect for catching up on letters back home. 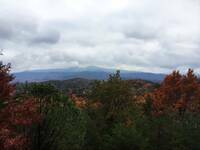 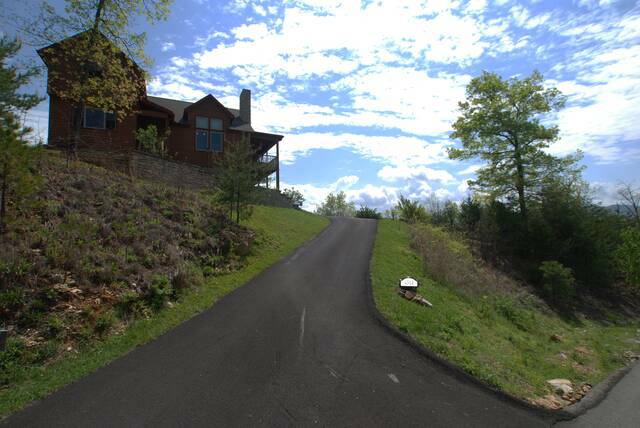 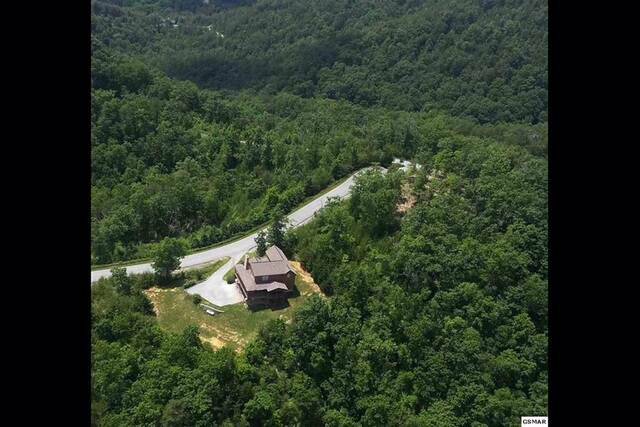 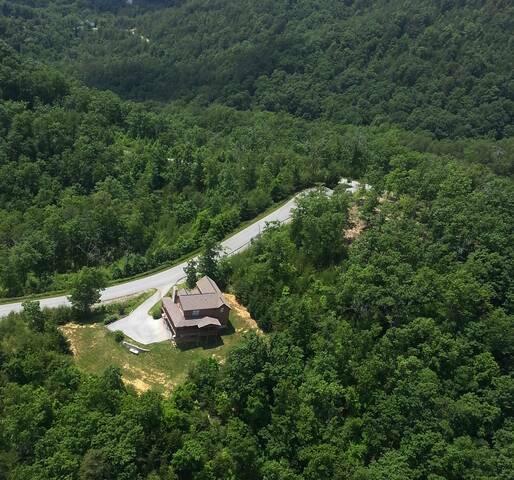 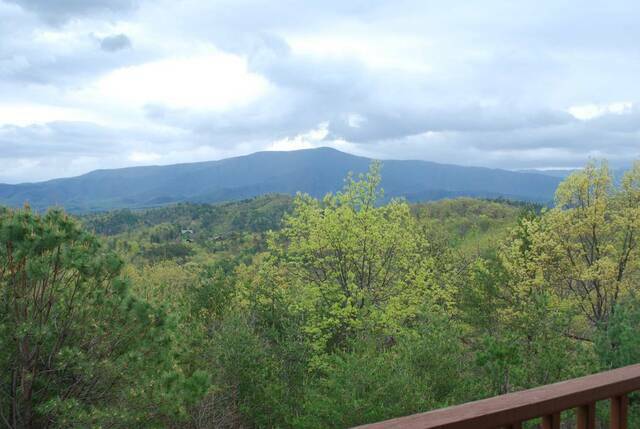 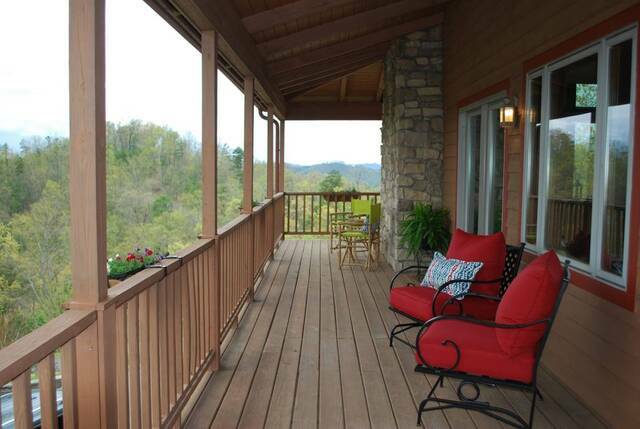 The best part of this mountain home....the breathtaking views! 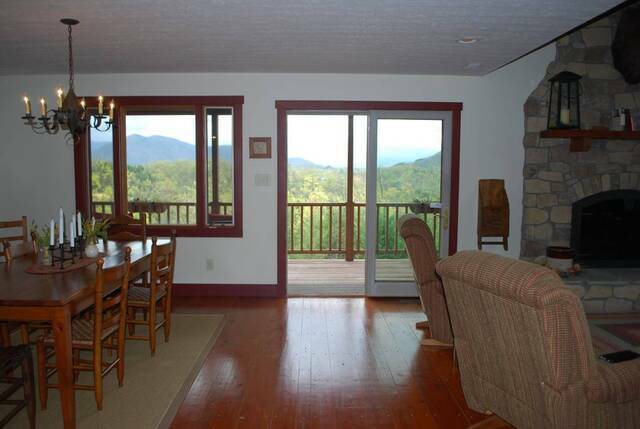 You will absolutely love watching the sun come up over the mountains in the mornings and watching it set in the evenings. 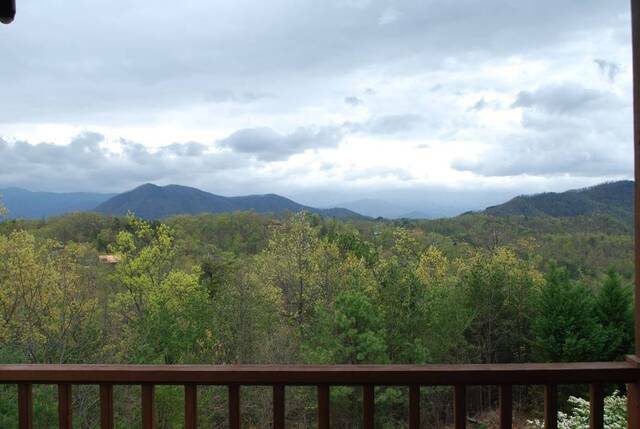 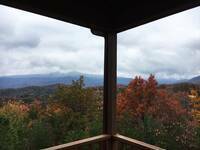 Each day brings forth a refreshing view of the Smoky Mountains. 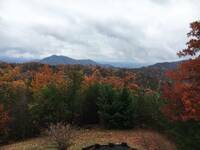 Watching the clouds change as a storm rolls in and seeing a rainbow light up the sky with brilliant colors is such a captivating event - one that will live on in your memory forever. 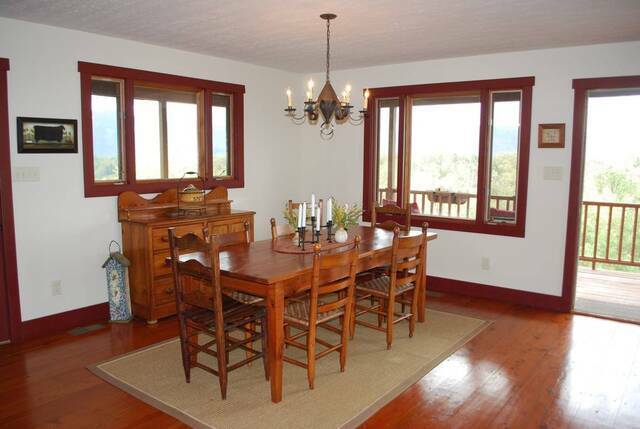 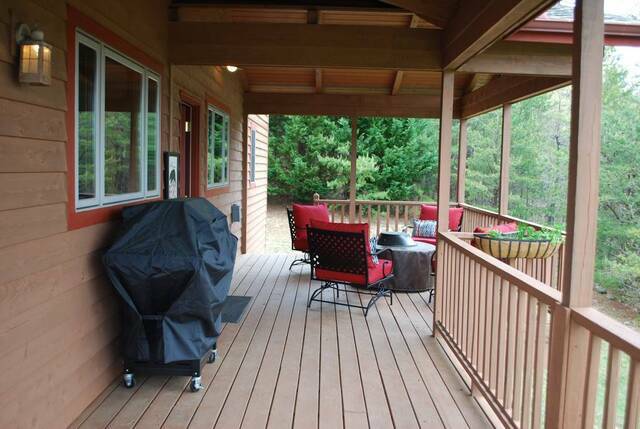 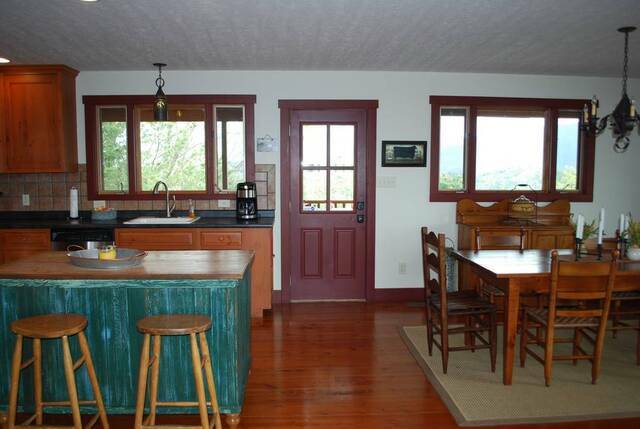 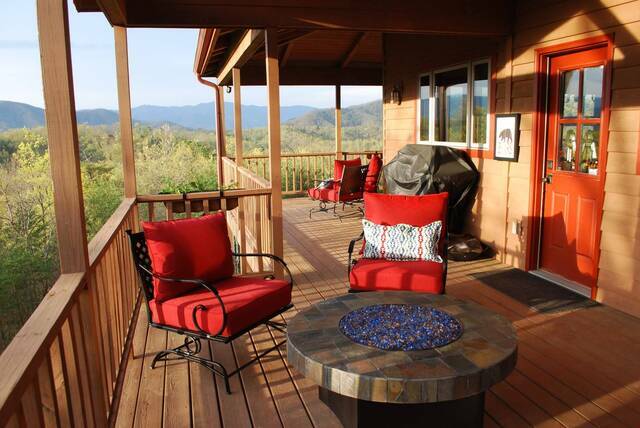 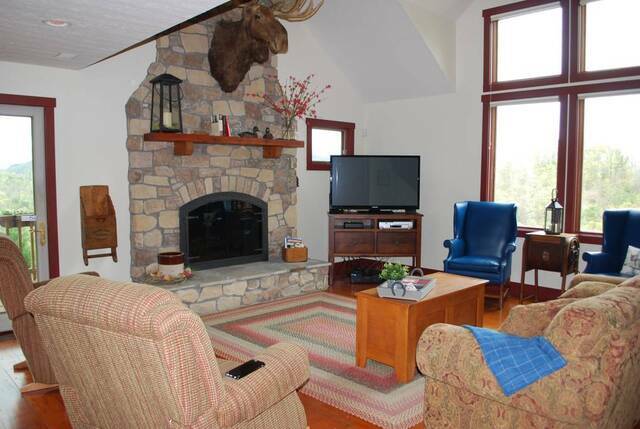 The breathtaking mountain view is the best feature of this cabin followed by the outdoor gas fire pit. Gather round on crisp fall evenings with a hot cup of cocoa or apple cider and enjoy the solitude that Our Happy Place provides. 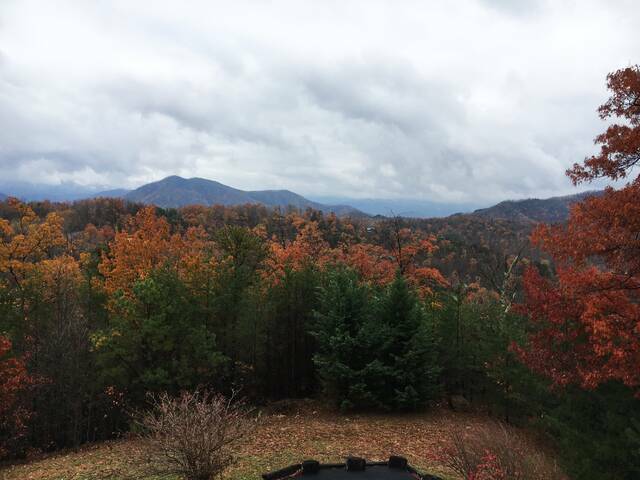 The next time you are thinking about coming to the Smoky Mountains, think about Our Happy Place and make memories that last a lifetime.